Lions and tigers and bears, Oh my! 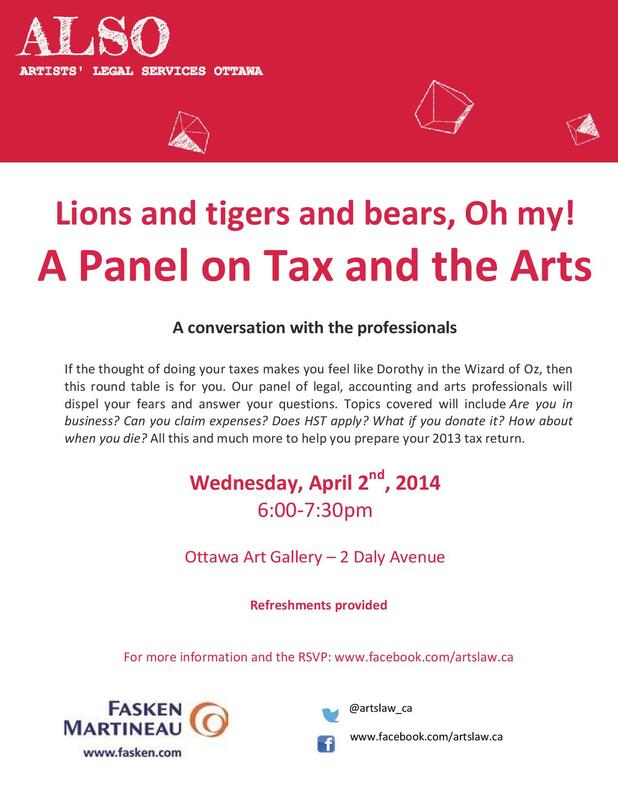 If the thought of doing your taxes makes you feel like Dorothy in the Wizard of Oz, then this round table is for you. 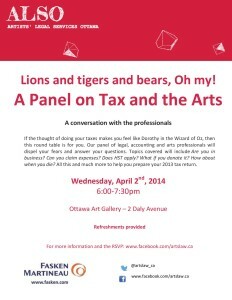 Our panel of legal, accounting and arts professionals will dispel your fears and answer your questions. Topics covered will include Are you in business? Can you claim expenses? Does HST apply? What if you donate it? How about when you die? All this and much more to help you prepare your 2013 tax return.